Public vrs. Private: Any Difference in Quality? Despite the increasingly severe fiscal constraints on their offices, public defenders usually provide representation that is at least as competent as that provided by private defense attorneys. This was demon­strated by a 1992 study conducted by the National Center for State Courts entitled, “Indigent Defenders Get the Job Done and Done Well.” The study concluded that P.D.s and private counsel achieve approximately equal results. For example, in the nine counties surveyed in the study, 76% of public defender clients were convicted, compared to 74% of private counsel clients. Additionally, public defender jobs tend to be so competitive that P.D. 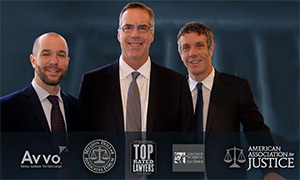 offices can select highly qualified attorneys. True, many P.D.s stay for a few years, gain intensive experience, and then leave for the supposedly greener pastures of private practice. However, most public defender offices offer excellent training programs, so that even recently arrived P.D.s can rapidly build expertise. In some large metropolitan areas (in California and New York, for example), the Public Defender offices are highly respected, giving their clients representation that only a highly-experienced (and expensive) private attorney could match. One downside of being represented by a public defender is that these government-paid lawyers often have a huge overload of cases, and cannot devote a lot of time to any one case. As a result, you may have little or no access to your lawyer except during actual court hearings. Public defenders also often lack office equipment and adequate research access, and can't afford to hire investigators to properly flesh out your case. Public defenders are often young and inexperienced, and are "cutting their teeth" on high-volume misdemeanor cases such as DWIs. A public defender also won't be able to assist you with related civil law or administrative matters (such as driver's license revocation hearings in a DWI case). You'll need to hire a separate attorney to help you with these concerns. Public defenders work with the same judges and prosecutors day in and day out, and get to know their personal quirks, peeves and tolerances. They also see the same police officers testifying, and know who's likely to be a bad (and good) witness. Public defenders usually work in "niched" areas of legal specialty, such as DWI or domestic violence defense. So they tend to be up-to-date on new law and legal theories in their area of specialty. A public defender is likely to be very efficient at sizing up your case and presenting an acceptable plea bargain deal to the prosecutor and judge. As a result, you may be done with the criminal process and on with the rest of your life sooner than if you were represented by a private attorney.